The rising popularly of cannabis products continues along with legalization of both medical and recreational marijuana across the country. Mainstream media is starting to catch the wave. Many articles have appeared about the movement into products that are related to cannabis but aren’t associated with “weed” the way so many older Americans remember it. Included are luxury items for high-end customers, as well as a staggering amount of products that use cannabis and marijuana derivatives. In short, marijuana has come a long way from being associated with aging hippies and Grateful Dead concerts. Even how marijuana gets sold is changing. Adam Beirman, the CEO and co-creator of California marijuana business management firm MedMen, told the International Business Times that public perception must catch up to a new era. Certainly the demand has now come out into the open. According to a U.S. Department of Health survey, 22 million Americans said they use marijuana on a monthly basis. Another 37 million say they partake at least once a year. Edibles. Many people prefer eating or drinking cannabis-infused products rather than the “traditional” method of smoking marijuana. Edibles included baked goods, sugar, chocolate, suckers and cookies, to name just a few of the many choices. Vaporizers. Perhaps best known as smokeless way for cigarette smokers to enjoy tobacco, vaporizers now have moved into marijuana in a big way. They come in a variety of sizes and provide a smokeless way to enjoy cannabis at home or anywhere marijuana can be legally used. CBD products. This growing area of the marijuana industry involves products that use cannibidiol (CBD) extracted from marijuana. These products provide the health benefits of marijuana without the active ingredient that causes the “high.” They include lotions and oils, many of which people use for pain management. The number of CBD products continue to grow. There is even CBD-infused water available. Topicals and Tinctures. 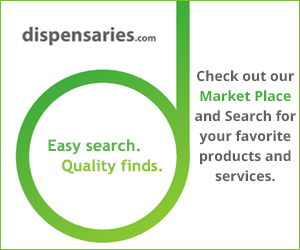 Associated mostly with pain relief, this area includes marijuana-infused products. For example, Whoopi Goldberg has her own line of products that includes a tincture that reduces the pain and discomfort women get with menstrual cramps. These represent just some of the products available as marijuana goes mainstream. With millions of more people now living in states where recreational marijuana is legal (including California and Massachusetts), expect the variety of products available to continue to grow.